With the Japanese headed for what many consider to be a nuclear disaster in addition to the recent natural disasters that have plagued the country, most people are automatically stating that this is going to be another Chernobyl. However, there are key differences between the two that people should realize in order to fully understand the situation. First, the two situations use different reactors, the technology involved with each, the experience of those dealing with the situation, the continued bombardment of earthquakes in Japan, the horrendous tsunami and the overall response plan for each accident. In every nuclear power plant there are reactors that are used in order to draw the power. During the Chernobyl disaster, the reactors that were being used were new in that they had little testing and were basically put into the plant to be used by the professionals. This was perhaps the biggest mistake since they had little testing in this area, no containment structure and it was during a test that the reactor blew up. Despite the fact that Japan is located on a very active seismic location known as the ‘Ring of Fire’, the Japanese nuclear power plants are utilizing boiling reactors that have been carefully set up and used over time and thus are trusted reactors. The risks are monitored very closely and the addition of seawater shows the gravity of the situation because this element renders the reactors useless. When the problems occurred at Chernobyl, they seemed to rush to fix it, they tried to power up the reactors too soon after turning them off and because of this, scientists there caused the nuclear meltdown. They simply were not aware of how to deal with situations that arose within the reactors or the plant in general. The Japanese have made sure that they are taking all the necessary safety precautions that they can take in order to minimize the problem and work towards figuring out what could cause a nuclear meltdown and are attempting to avoid it at all costs. In fact, Secretary of State Hillary Clinton’s first action was to send coolant to Japan to stave off a serious disaster. At Chernobyl, they had never thought that they would have a problem, thus when it came down to it they had no protocol in place for how to get people to safety, how to warn others that there was a problem, and so forth. In fact, it was days before the nearby public was informed as to what had happened after being told they could initially not leave the area. Thanks to newer technology, the Japanese nuclear disaster is being monitored at the plants in addition to toxins being monitored by handheld devices all over the area. The public is being kept informed but the residents in Japan do not have the option to migrate to another country, and instead about a half million people are counting on their countrymen to help them get back onto their feet. As the hydrogen explosions continue to occur, many people have been evacuated from immediate areas in order to be sure that they are safe. At this time nuclear plant coils are in danger of exposure to the air and thus overheating leading to potential melt downs. The high levels of radiation are attributed to the radiation rich pools of ‘spent’ water which are always kept on site. In some cases, broken pipes are causing hydrogen explosions and are vaporizing the radiated water into the air. We are counting on the best nuclear physicists in the world to join forces in limiting the risks in this case – for all of our benefit. A true reactor explosion would release large amounts of radiation into the upper atmosphere, and as we have learned from Chernobyl, the fallout would invisibly and tragically reach each one of us. Overall, the two disasters are not similar to a great extent, each was at a different point in time and this could have been the number one reason why each affected the area differently. Chernobyl was using reactors that were fairly new for its time and had not been experienced much. Because of this they increased their chances of making mistakes. At Chernobyl since they did not know the reactors that well, they really had no way or idea of how to deal with problems. Chernobyl was not really prepared for the future and had not response plan for the people of the Ukraine when it came down to it. The Chernobyl reactor was not housed in a containment structure. High incidences of certain types of cancer is the chief complaint from nuclear radiation and some claim the effects are still felt today. The Japanese nuclear power plants use boiling water reactors that are very old and trusted. Those that work with these have done so for years, thus know everything about them. 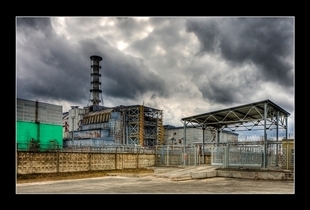 The Japanese reactors produce a fraction of the power Chernobyl produced in order to mitigate potential risk. Much newer nuclear technology is employed in Japan. The details regarding what is happening inside the reactors are much more transparent. The 9.0 earthquake coupled with a crippling tsunami caused more destruction than anyone anticipated, even in an earthquake ready zone such a Japan. Efficient emergency plans are in place but there are still a half million displaced residents in shelters at the time of this writing. This disaster isn't over yet. Which is the worst nuclear disaster? really nice comparison. there's so much to learn. can the effects and evacuation measures will be same? I just read that an earthquake was responsible for the last blast at Mt Fuji. Well, a 6.2 hit Mt. Fuji on March 15th. I hope this means absolutely nothing. Helps me to better understand risk here at home. Very enlightening. 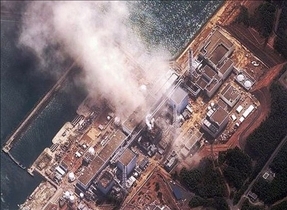 On March 12, 2011, the Japanese nuclear plant team dismissed the nuclear incident as a minor accident. "there is no nuclear accident or incident in Japan". On March 14, 2011, when the crisis became undeniable, they continued to maintain that the crisis would be over soon. On March 17, 2011, CNN's Sanjay Gupta and Anderson Cooper are painting different pictures for the global audience. It appears the Japanese nuclear power plant operation issues are not being shared fully with government officials nor with foreign nuclear scientists who are more than eager to work with the Japanese to fix the issues at hand. The 'meltdown' the world is watching on video and TV affects more than just those people living near the nuclear plants in trouble. It is clear that transparency is needed, regardless of whether or not they want to avoid being seen as competent, effective. My heart goes out to those who are suffering. "•The Chernobyl reactor was not housed in a containment structure" - Isn't the Japanese building totally blow up ? "•Chernobyl was using reactors that were fairly new for its time and had not been experienced much. Because of this they increased their chances of making mistakes vs •Much newer nuclear technology is employed in Japan. The details regarding what is happening inside the reactors are much more transparent. " Isn't this a contradiction ? Apart from the point that the **** power output is much smaller. I don't see much difference. If the uranium vapourise into the air then it is both the same, regardless of whether is due to tsunami or inexperience russian. All very nice but the Japenese diaster has not yet finished, it is still volatile and we have been lied to about what is actually going on. Libya and riots about the Tory parties cuts have kept Japan out of the news but this timebomb is still polluting and ticking, poisoning the seas and in the winds. Russia is a huge country and they can write Pripyat off, never will the town of Pripyat be inhabited again, not for the next 30,0000 years or more. Japan in comparison is a little island as is the UK, food for thought I think. As rob said, Chernobyl had no containment structure. It created catastrophic fallout throughout Pripyat and Chernobyl, causing moderate health issues. This even created a zone of alienation and is still spewing radioactive dust through it's fractured sarcophogus at Block 4. Even though it's May 17, 2011 and Reactor 1 at Fukushima had a total meltdown, it still stayed within the containment structure. Everyone freaks out when they hear this and claim it will be another, if not worse, version of Chernobyl. But this isn't the case.